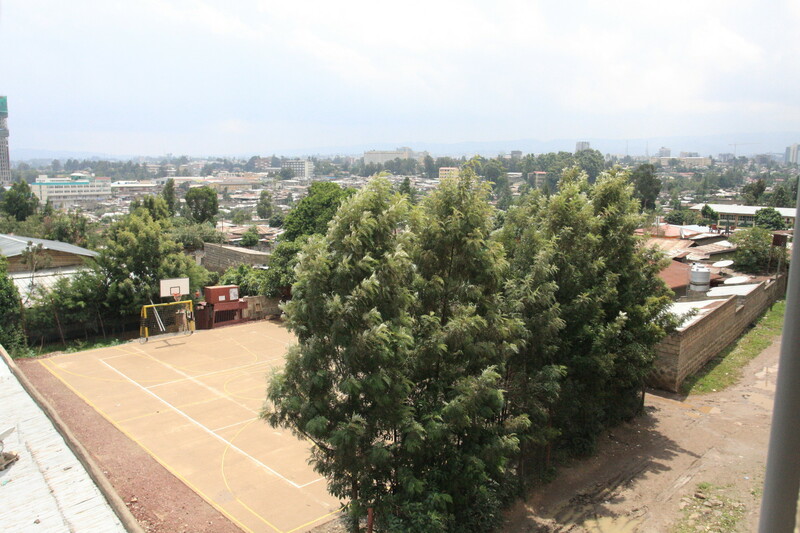 During June 15-17, the first "Addis Afros Streetball Jam" took place at the Menelik School, at Arat Kilo in Addis Ababa. In three divisions (Juniors under 19 years, Women and Men) about 150 players competed in "3 on 3" games for the king of the court! 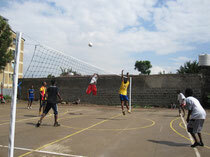 This has been the first tournament of this type in Ethiopia! DJs, 3 Point Shoot-out, BBQ and a lot of HipHop Music ensured that this tournament was be a remarkable event for all ballers in Addis! 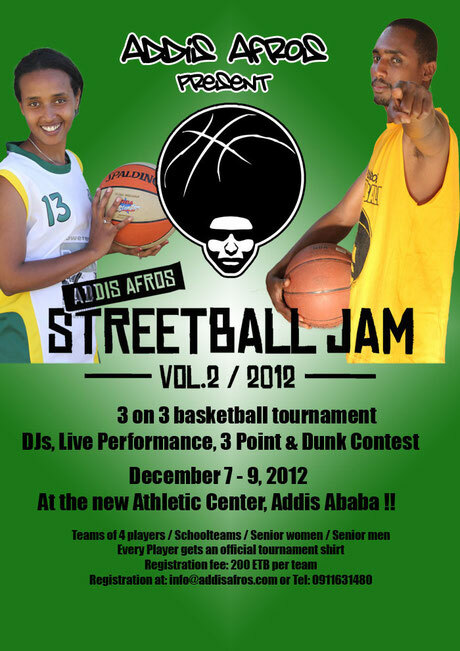 The second "Addis Afros Streetjam" took place at the new Athletic Center in Addis Ababa and was as well a big success. 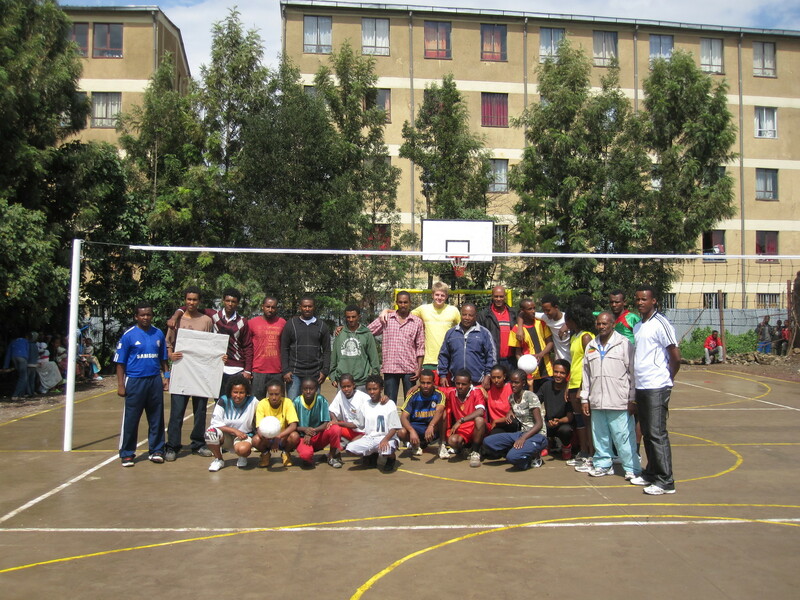 Through these events we are able to reach out to many kids in Addis Ababa and attract them for the sport of basketball. 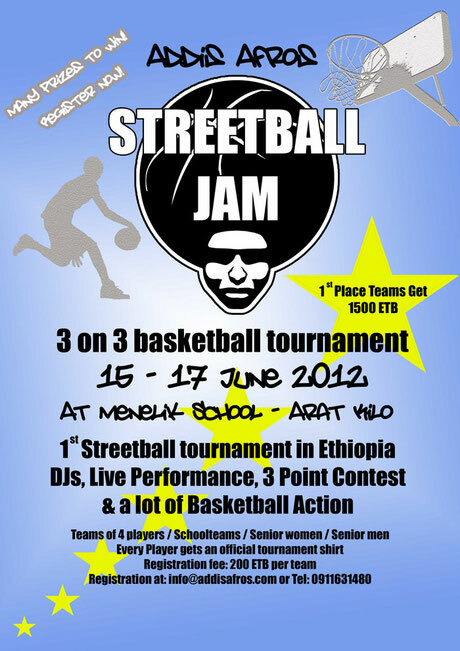 In order to be able to continue organising Streetball Tournaments, we are looking for supporters and sponsors. Contact us and become part of the movement. 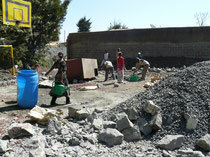 The “Addis Afros” aim to creating opportunities for young people to play! In the highly congested city of Addis Ababa little space is provided for playing fields. 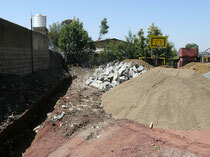 Existing courts are often not accessible for the public or in bad condition. Public funds for improving these conditions are not available. 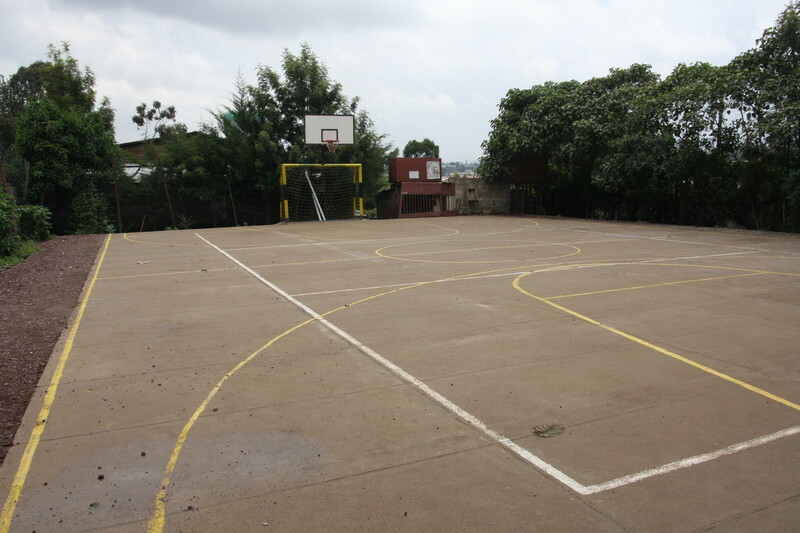 The “Addis Afros Basketball Club” is therefore looking for partnerships with (international) companies, clubs or foundations to build courts for the young kids of Addis Ababa. 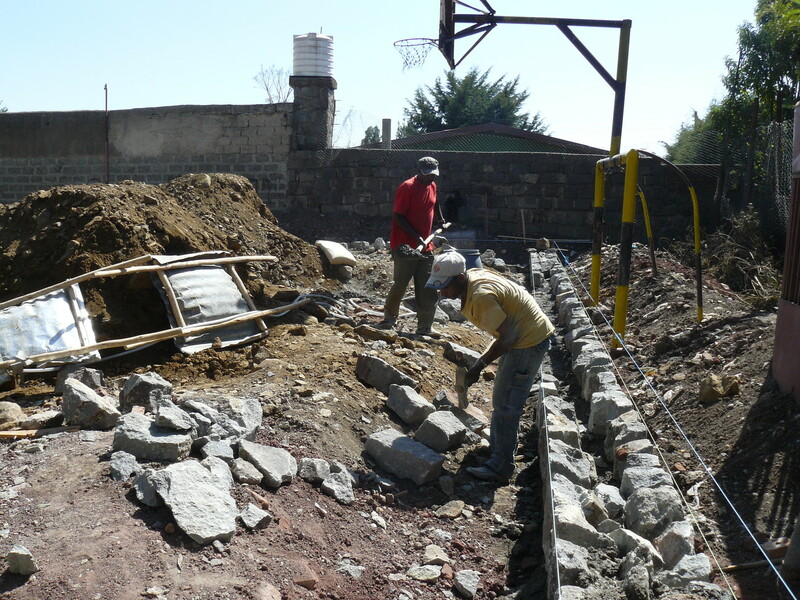 Together with the financial support of the Germany based "Antonia-Ruut Stiftung" already one great project has been realised: A new concrete multi-purpose court has been constructed for a community center in Kirkos, a notorious slum area in Addis Ababa. 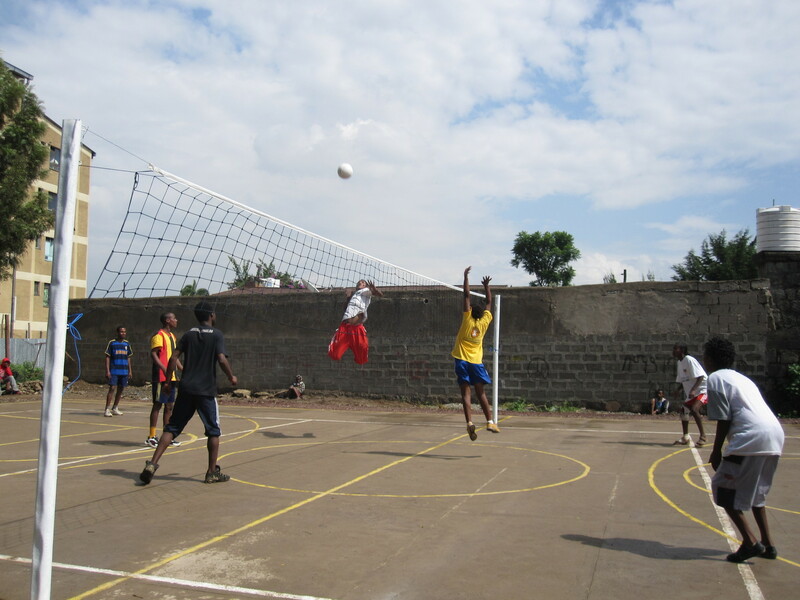 The court is open for everyone, especially for orphans and street kids for which the center offers refuge as well as training and education facilities. 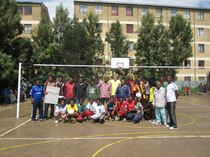 Please contact us to learn more about the Addis Afros "Hoops for Hope" project.